We wanted to take a moment to say a HUGE thank-you to all of our amazing supporters. It is thanks to you that the dream will become a reality, and soon! We have been overwhelmed by the generosity of our community, especially the local construction companies. These t-shirts are currently in Nepal (and available for purchase to support us!) displaying the names of some of these generous donors. Rob set off with some of the team last Thursday to visit the village and meet with various officials as we complete the plans and start to collect materials for building. Nick Versteeg, the talented local filmmaker (dvmedia.ca), met with them yesterday at the village to capture some of the journey for his next piece. We should be able to share some of his images with you over the coming weeks. Rob and the reason we are doing this, the children! We learned in the past few weeks that the Nepali Department of Education wants to partner with us to rebuild the school in Apchaur, and hopefully continue to work with us on future projects. This is a huge step forward and should enable us to build more and cut through the red tape a little bit faster! This makes your donations even more important; we are around halfway to our intital goal right now and we need to have the materials collected before the monsoon season kicks off in full force. Please donate what you can, every bit helps. 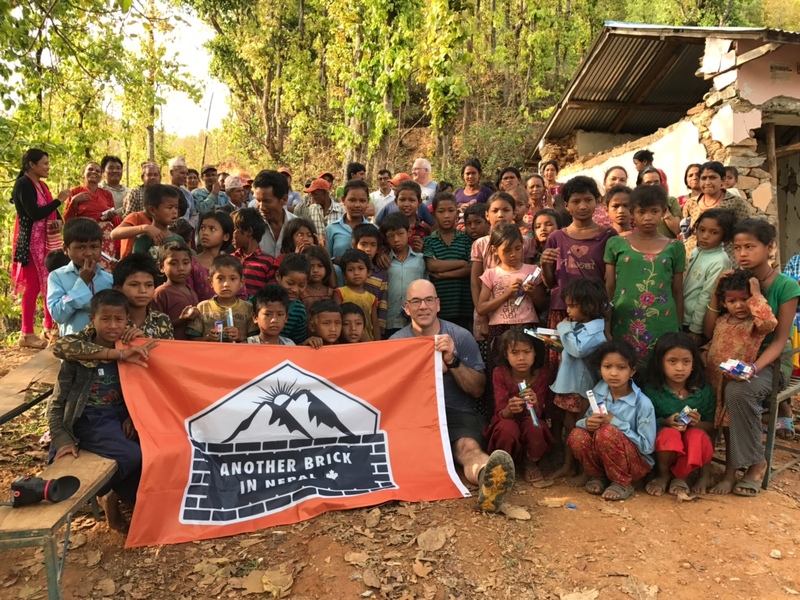 You can send interac money transfers to info@anotherbrickinnepal.com or visit our GoFundMe page to donate online.